CA-074 (Cathepsin B Inhibitor III) is a selective irreversible inhibitor of cathepsin B with lower membrane permeability as the related methyl ester CA-074 Me. The more specific inhibitor CA-074 enables the inhibition of endogenous cathepsin B, while intracellular cathepsin L remains unaffected. It should be used instead of CA-074 Me for the specific inactivation of cathepsin B in living cells. 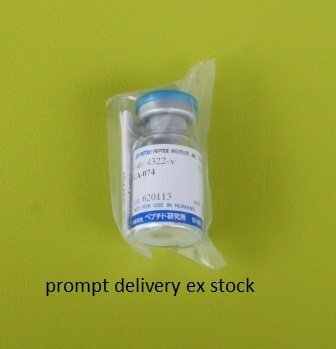 The peptide inhibitor CA-074 is distributed through Peptide Institute, Inc. under the license of Taisho Pharmaceutical Co., Ltd.